We have many years of expertise in inhalation therapy. Inhalation devices transport saline solutions and medications into the respiratory tract. Our inhalation devices provide an effective and gentle way of treating respiratory diseases. Our mission: Improving the lives of those affected by respiratory diseases. We are specialists in effective inhalation therapy. Inhalation is used for the treatment of cystic fibrosis, asthma, chronic bronchitis and sinusitis, and other conditions. In addition to inhaling beneficial saline solutions, you can also inhale medications. Inhalation of saline solutions is also a gentle and effective way to treat colds. Inhalation is used for the effective treatment of respiratory diseases. PARI has been honoured as the “brand of the century” for the third time in a row. PARI – The name has been synonymous with inhalation therapy for many decades. 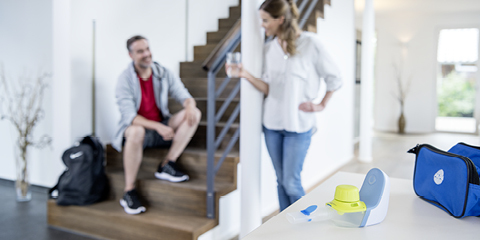 Metered-dose inhalers, powder inhalers and nebuliser systems – what sets the different systems apart and which devices are available. Simple, suitable for every age and can be combined with physiotherapy to save time. 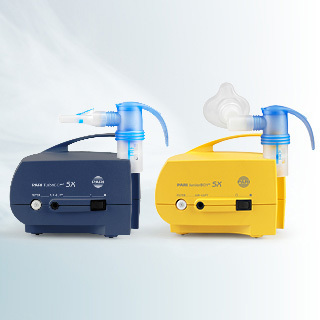 Metered-dose inhalers, powder inhalers and nebuliser systems. 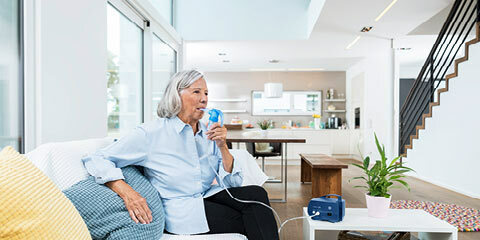 The systems, which have different methods of administration, indications and modes of action, are recommended for inhalation therapy based on the disease, the age of the patient and the patient’s needs. 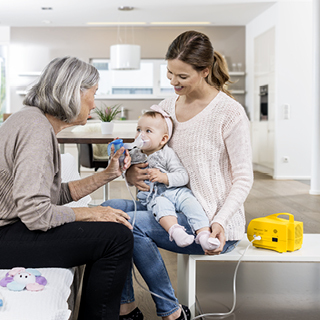 One of the advantages of PARI jet nebulisers and membrane nebulisers is that, in addition to being used for saline solutions, they can also be used for medications which are only available for use as an aerosol. For sprays, we recommend holding chambers to minimise side effects in the mouth and throat as much as possible. There are many parameters we can use to compare the quality of nebulisers. One of these is especially important for the success of your therapy. Using a nebuliser is easy: Sit comfotably and breathe in the aerosol calmly. Aerosol therapy is tried and tested and the effects of inhalation therapy have been proven in many studies. 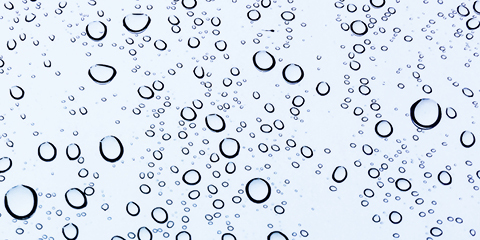 Why droplet size is a key factor. The inhalation device and nebuliser can generate aerosols with different droplet sizes. To reach the throat, nose and larynx during inhalation, large droplet sizes are needed. Small droplets are needed to treat the lungs. The deeper the aerosol has to travel in the lungs, the smaller the droplets need to be. To reach into the sinuses, a pulsating aerosol is required. How the lungs keep themselves clean and what the colours of the nebuliser inserts mean. Inhalation with 0.9% isotonic saline solution is effective for any age group at preventing, managing and treating diseases of the airways. Do you need special assistance with your treatment and would you like to benefit from short inhalation times? 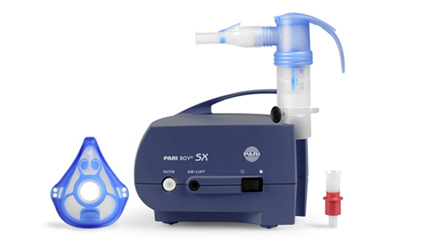 The comprehensive configuration of the PARI BOY SX makes it a resource that can be tailored to your respiratory therapy. Which device for which disease? Our product guide helps you find the right device for you, fast.